Hanover Post Oak is situated within walking distance to many different shops, restaurants, and highways including 610 and 59. These Uptown Houston apartments are only a short drive from Downtown. Enjoy a life of luxury with our ultra-modern community and residential amenities. Live only minutes away from the Galleria, the most high-end mall and shopping center in all of Houston. Never hassle with finding a grocery store again, we’re located across the street from Whole Foods Market. If you’re in need of some fresh air hop on over to Memorial park, located just a few minutes up the road. 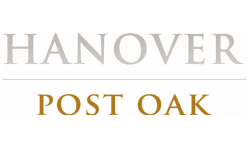 If you’re new to the city, the Hanover Post Oak team is here to help! Swing by our office at any time to ask us what our favorite Bayou City thing is to do. You can also explore what's near our apartments in central Houston using the interactive map below.